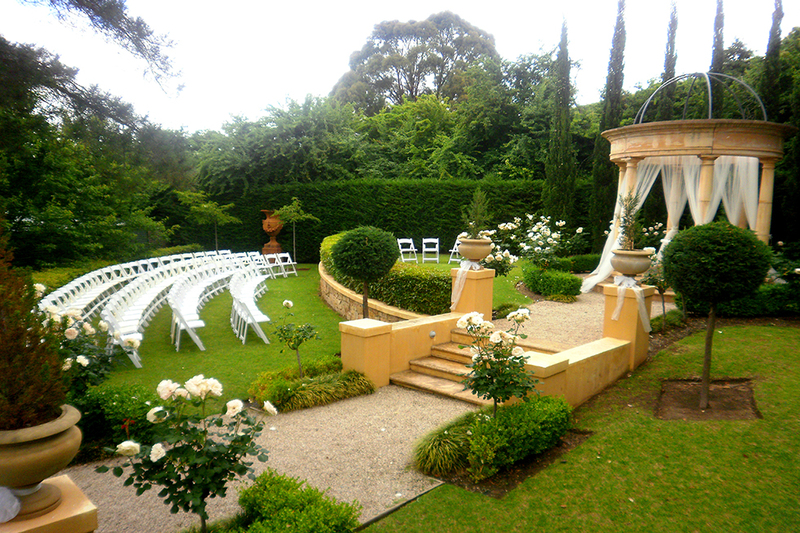 One of the most popular wedding types in the UK has been the outdoor wedding. This specific wedding set up, has materialized some of its own trends and and styles including everything from colors, flowers, center pieces, weather protection options, cakes decorations, foods, invitations, transportation, music and themes for the reception and ceremony. Of course, all of these wedding details vary from season to season, but there are some trend generalities that can be discussed. The most popular time for UK outdoor weddings is late spring and summer. This can be noted in the trends in colors and flowers that are often seen in UK outdoor weddings occurring at this time of the year. 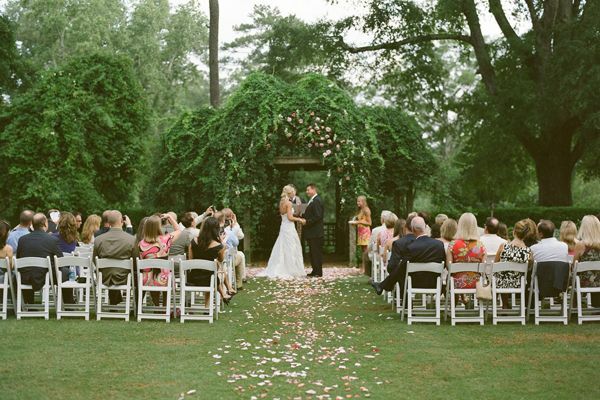 For example, a large majority of outdoors weddings that happen in the spring generally utilize soft, pastel colors. It has become more and more popular to accent these lighter shades with a dark, bold color. For example, pastel pinks will often be accented by a more vibrant and eye catching shade of pink…basically a more saturated version of the pastel shade. The UK outdoor weddings that happen in the summer time, have moved away from the soft shades into the bright and vivid colors such as yellow, bright orange, and aqua blue. These shades leave less room for exploring other color options, since they already make a bold statement in and of themselves. The trends for flowers in outdoor UK weddings have actually reverted to the more traditional options. Lilies, lilacs and wildflowers can often be seen in the spring time weddings and roses and sunflowers during the summer. Some people choose to combine the spring and summer flowers into a bouquet to give the wedding a unique twist. Interestingly enough, while the general trend with flowers and colors seems to be towards the traditional, there is something to be said for the growing number of couples who choose to do something very different. Some people who have outdoor weddings in UK have completely abandoned the idea of flowers all together (except the bouquet the bride holds). Instead their center pieces are made of things like small chocolate fountains, beautifully decorated candles, small figurines, statues, or even various designs made of different colored lights. 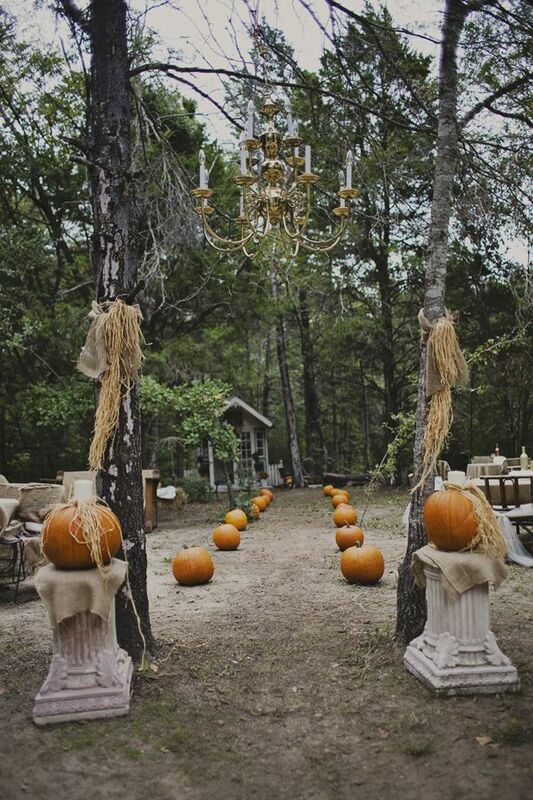 On that note, lights have become probably the most popular way to set the mood in UK outdoor weddings. What we mean by this is that as the sun begins to set on an outdoor wedding, there is nothing to lighten the reception area. 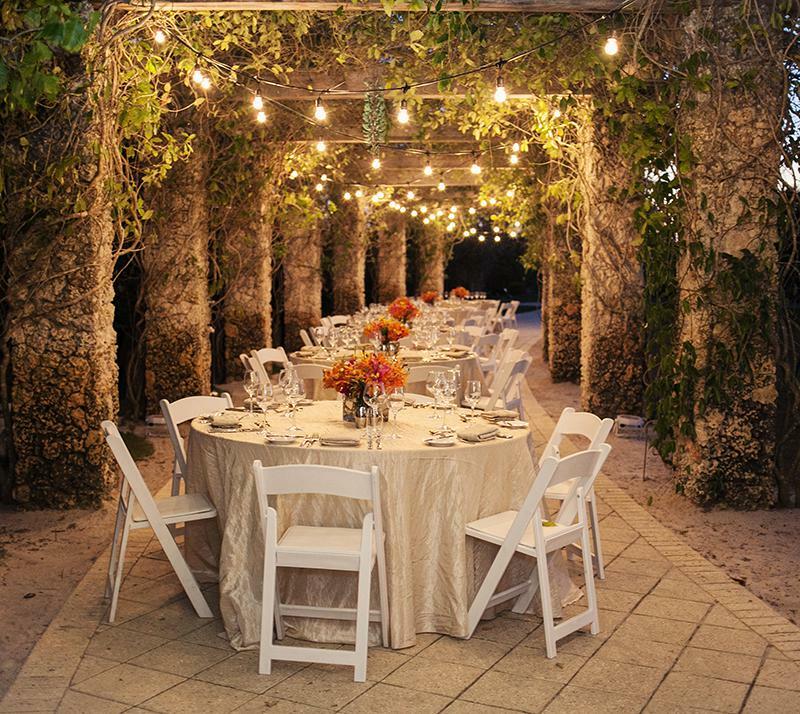 For this reason, many couples choose to decorate the covers and tends that surround the reception with various types of lights. These vary from large extravagant lights to small yellow Christmas lights. 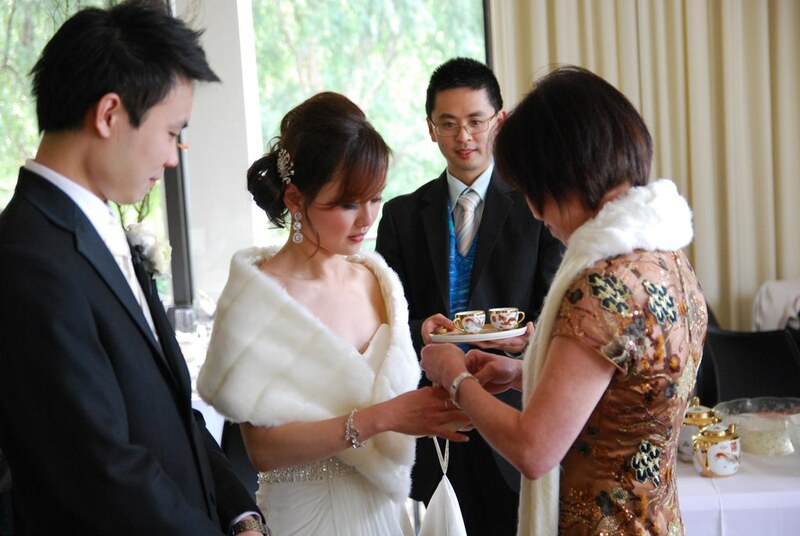 Whatever the case may be, the couple finds it to be a fun twist to wedding preparation and design and many are surprised to find how well it fits the wedding theme. The trend in UK outdoor weddings has been to stick to the traditional and simple, even though an open space presents for an opportunity to make some interesting design arrangements. Most couples choose to have an isle made of white and the front “altar” area to be set up with an arc decorated with various flowers. Many people who are fortunate to have their outside wedding on a nice day, set up the reception of their wedding just a few feet away from the actual ceremony. The trend for weather covers has been to cover the seating areas with light cloth, or see through plastic, to unwrap their guests in the magic of their surroundings.